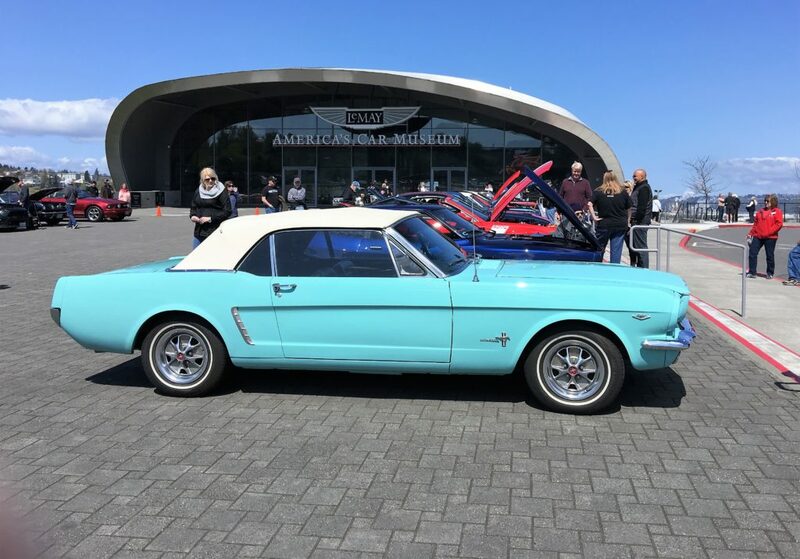 Even the weather cooperated to make the Mustang birthday and National Mustang Day celebration at America’s Car Museum (ACM) in Tacoma, WA on Sunday April 22, 2018 an impressive sight. 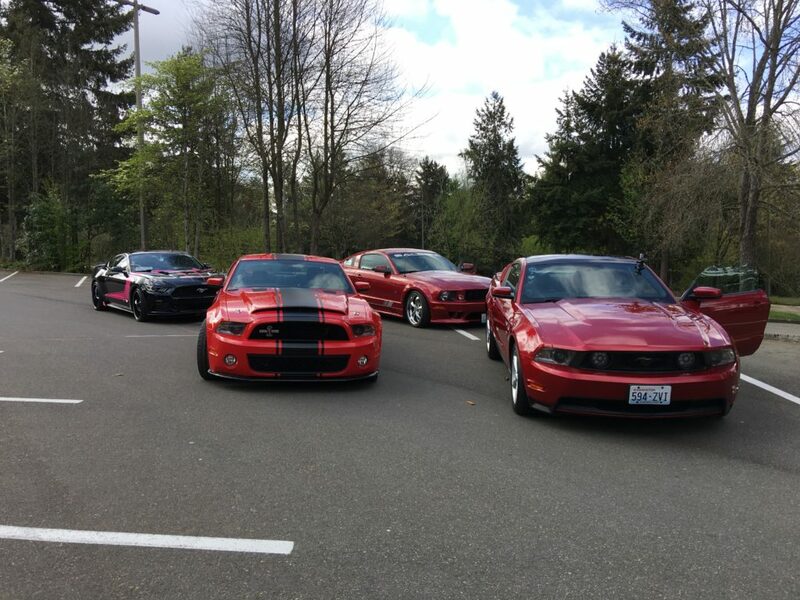 One hundred sixty two Mustangs from Western Washington Mustang clubs cruised to ACM in time to have their picture taken at the party. 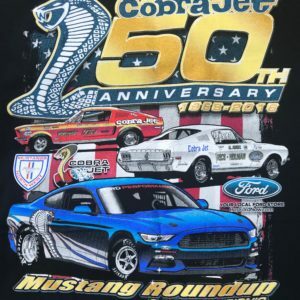 National Mustang Day is celebrated each year on the first day Mustangs were officially available for sale, April 17. 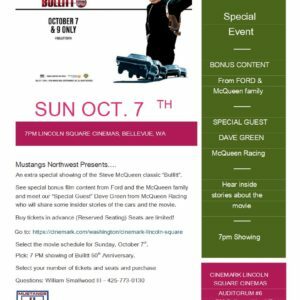 Sixteen members of Mustangs Northwest were able to successfully navigate the route to ACM laid out by MNW President, Nancy Atkinson. The drive left from Bellevue College and took a scenic route through the countryside of Issaquah, Mirromont, Hobart, Ravensdale and Black Diamond before connecting to Highway 18 and then I-5 for the final leg of the trip. Total drive time was about 1.5 hours. 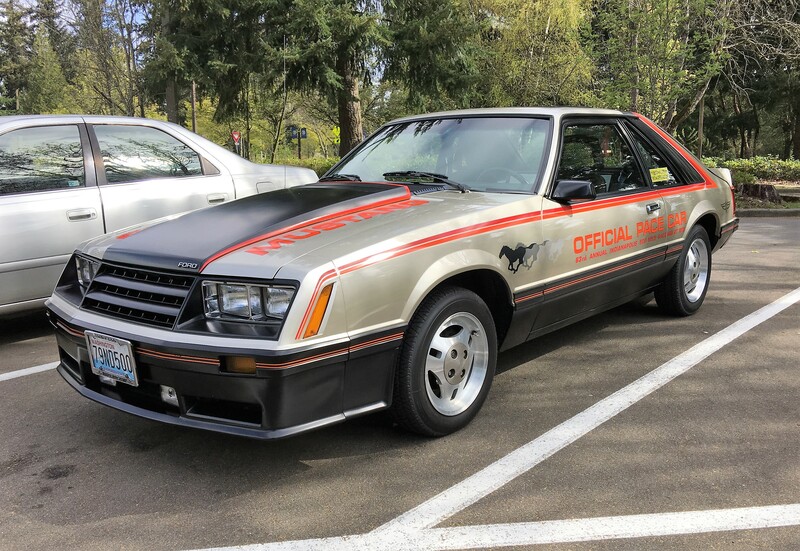 After the picture taking event on the lawn at ACM, some of the visiting Mustangs were invited for display in front of the ACM entrance.